The first Pearl 8100 was released way back in 2006 , unlike other company's who release handsets with slight tweaks every year, RIM has waited before unleashing the Pearl 9105. However much we liked the design and build of the Pearl 8100, the lack of 3G and WiFi was unforgivable. As well as rectifying the connectivity issues RIM's added some features to make the new Pearl even more enticing, now offering the connectivity of a smartphone, in a compact, consumer-friendly body. 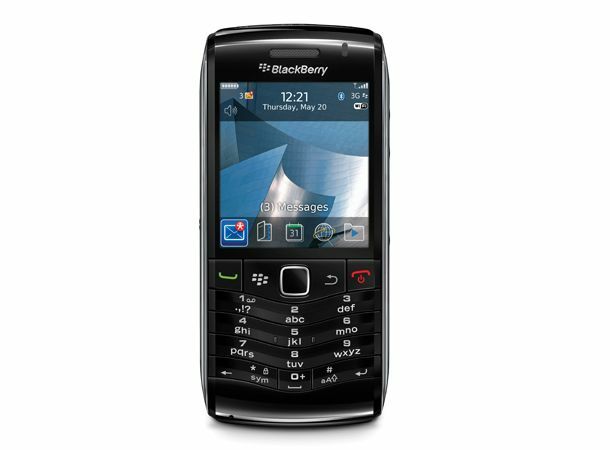 The Pearl 3G has a lot in common with its chunkier brother the Blackberry Bold 9700, running Blackberry 5.0 OS and with the same 624Mhz procssor, which is noticebly quicker. 3G is a welcome addition, browsing is far faster and it finally supports WiFi. RIM hasn't tinkered with the build much. At 93g the Pearl 3G feels light and at 13mm deep will easily slip into a pocket. The metal edges have gone and on one side there's a new micro USB port and 3.5mm jack, the other has rubberised volume and camera controls. RIM's replaced the trackball with a touch-sensitive trackpad, which is nowhere near as eye catching and can on occasion be incredibly frustrating to use. You'll be happily scrolling up and down a web page and it will suddenly stop responding. It's the only thing that spoils what is otherwise a very slick UI. Blackberry handsets have always been class leaders in email and the Pearl 3G is no exception, effortlessly synching 10 accounts into one mail box via the user-friendly Email Setup. The keyboard has transformed from QWERTY to alphanumeric. It's very much individual preference, but personally we prefer a QWERTY, even though having two letters per key like the original Pearl (and the current US version) was a bit cramped. But having it doesn't take long to become familiar with it and SureType technology is pretty accurate at memorising words you type frequently. The 2.25-inch 360x400 screen is sharp, but tiny which limits browsing enjoyment. Unsurprisingly there's no Flash support but we should remember the Pearl 3G isn't trying to compete with the browsing capabilities of the HTC Desire or Apple iPhone, and it's fine for checking up on news headlines. The sceen is also a bit small for video beyond the occasional clip, although the on-board speaker is forceful enough for two people to listen comfortably. The music player is acceptable. Skip and play buttons positioned within easy reach on the top edge and it's simple enough to create a playlist. The headphones aren't bad at all for short bursts, but for prolonged periods of time we'd suggest swapping to a more comfortable pair. Annoyingly when you lock the phone you can't adjust the volume or skip tracks. Elsewherem, video recording is a new addition, shooting overly-soft clips at 640x480. Pictures from the 3.2MP camera are infinitely better though with much more detail, so fine for emailing. Blackberry Maps are a welcome addition, although the small screen means it's best reserved for emergencies. With around 2000 apps Blackberry App World doesn't offer anywhere near the choice of the Apple App Store or Android Marketplace though. With moderate browsing, the odd photo and moderate calls, like most smartphones the battery lasts just over a day. The original Pearl was a good handset, but in its sucessor Rim's created something far superior. It's quicker and more user friendly with better features, although we'd have preferred a QWERTY keyboard. The Peal 3G still isn't going to appeal to anyone looking for browsing and multimedia capability, but for emailing and text it's a compact, yet capable alternative to the Nokia E72 and Blackberry 9700. The Blackberry Pearl 3G is available now.